Motorboat: Built in 1907 by H. Manley, Crosby, MA; Acquired by the Navy in July 1917; Placed in service 3 August 1917; Placed out of service 30 December 1917 and returned to her owner, H. W. Hower of Rome, NY; Struck from the Naval Register, (date unknown). Fate unknown. Specifications: Displacement 25 t.; Length 60' 6"; Beam 12'; Draft 3' 10"; Speed 10 kts. ; Complement seven; Armament one 1-pounder and two machine guns. 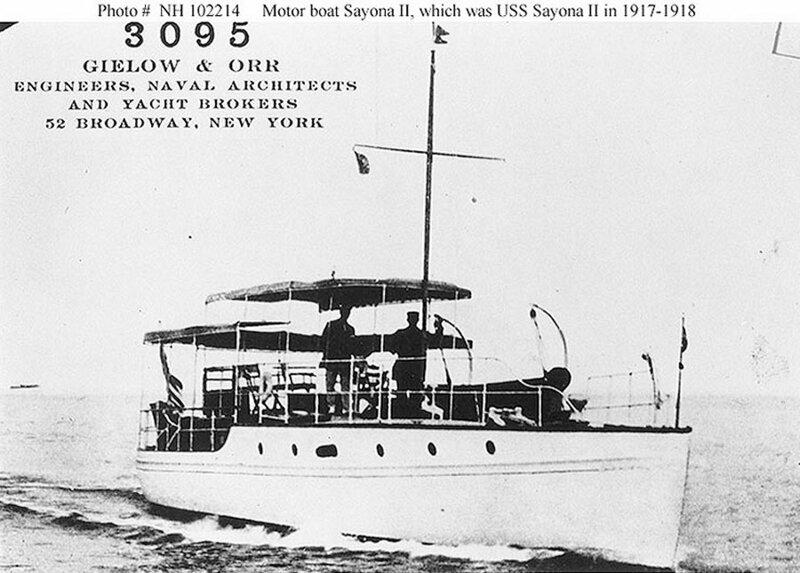 124k Underway, prior to her World War I Naval service. 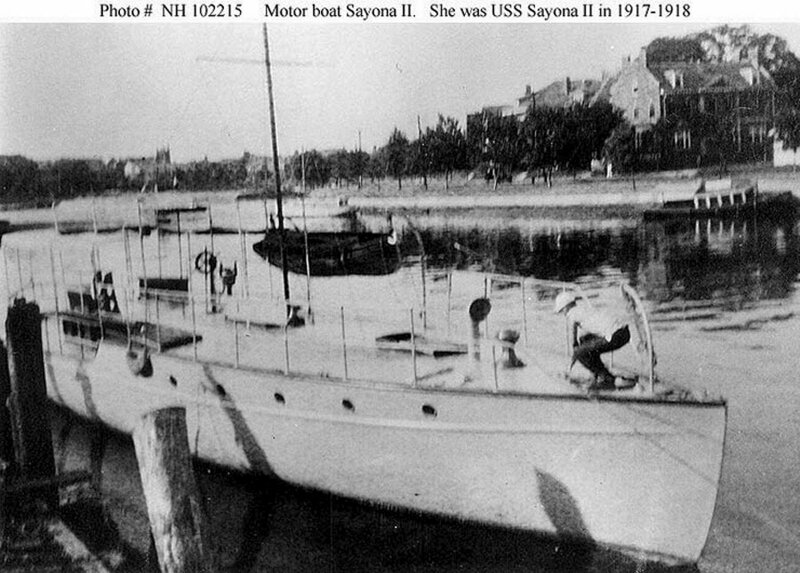 145k Photographed in port, before her World War I Naval service. 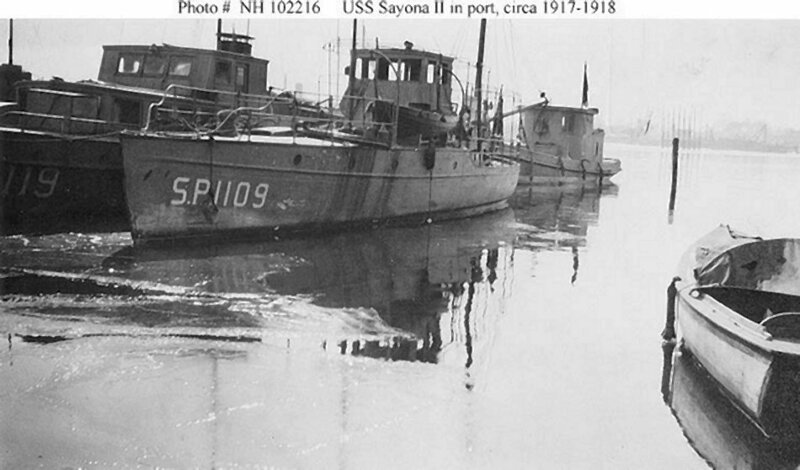 92k In a Fifth Naval District port, circa 1917-1919. Outboard of Idylease (SP 119). Note ice on the water.